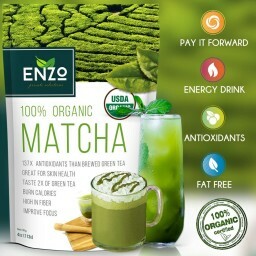 Enzo 100% organic Matcha Tea contains polyphenol EGCG, a well-known formula to increase metabolism and helps you to burn fat faster. BOOST YOUR METABOLISM. SUSTAINABLE ENERGY AND FOCUS - Unlike coffee shots of energy, Matcha slowly and steadily releases its energy acting as both relaxant and stimulant. Giving you the energy you need without exhausting your body and messing with your core temperature. ENHANCE METABOLISM - Green Tea powder, Matcha, increases the body's own rate of burning calories from average of 9% to 35% and up to 43%. This means Matcha can increases your body's calories burning rate up to 4.7x fold the regular rate. 7X MORE ANTIOXIDANTS THAN DARK CHOCOLATE - We all know how Dark Chocolate has ruled the Antioxidant chart for decades, well Matcha is here to overthrow the reign 7 folds over. 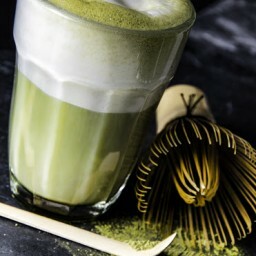 Compare to brewed green tea Matcha contains 137x more antioxidants and according to health professions high level of antioxidants diets can prevent age-related diseases, keeps your fit and your rejuvenate your body. REJUVENATE YOUR SKIN - Apart from antioxidants that helps you stay young, Matcha also help protect the skin from harmful UV rays, while improving oxygen level which facilitates blood flow lifting overall skin quality. HIGH IN FIBER AND HELPS DETOX - Fiber helps the body stabilize blood sugar it also fills you up and keep improve your digestive health. Having high chlorophyll content organic matcha is a great way to detox naturally. Apart from rinsing your body of toxins from fatty and intoxication research shows that chlorophyll also promotes healthy skin. $7 RECIPE eBOOK - FREE after purchase. Over 20 drink recipes, including secret to make Starbucks delicious Green Tea Latte, will be emailed to you. 100% MONEY-BACK GUARANTEE - Yes, you heard it right. Not happy with our product, just return the package and we will refund your money back 100% no-questions asked. So whats to lose? 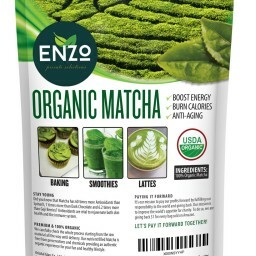 Enzo's Private Selection Organic Matcha http://enzomatcha.com is promoting their Organic Matcha. 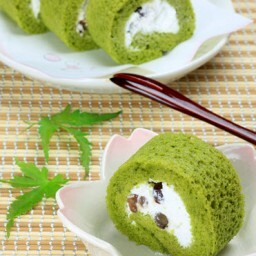 Visit product page http://www.amazon.com/Green-Tea-Powder-Long-lasting-ANTIOXIDANTS/dp/B00NYYVWFQ and find out more. I used #enzomatcha in my smoothies for a morning pick-me-up!